Jurjen Hesseling – founder of Dutch technical design and production company Jurlights – and Tom Back, co-founder of Alcons Audio, both have a single-minded ‘no compromise’ attitude towards delivering audio excellence in any live situation. 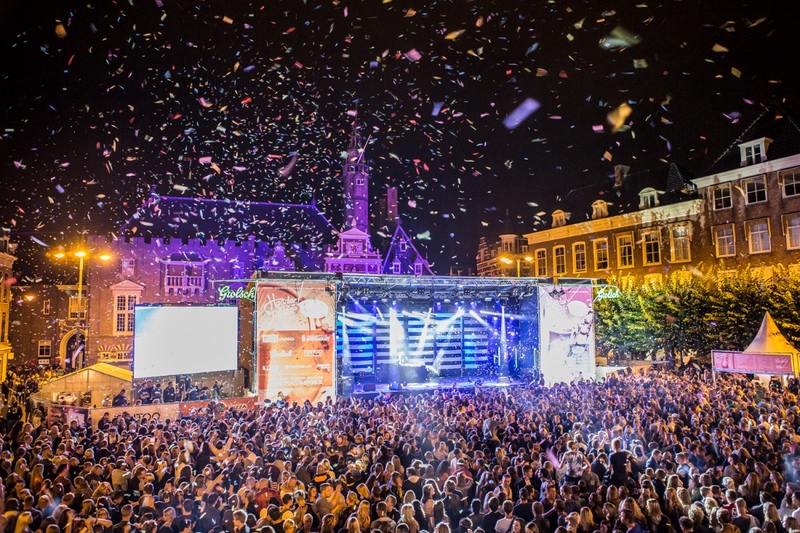 2014 was the third year that Jurlights deployed Alcons systems on the annual Haarlem Jazz Festival, with both companies keen to continue tweaking the systems to deliver the ultimate in outdoor audio quality. The festival takes place over three days in August, with a main outdoor stage in the town’s central market square, the Grote Markt. Smaller outdoor stages are housed at nearby Klokhuisplein (Clock House Square), Oude Groenmarkt (Old Greenmarket) and Nieuwekerksplein (New Church Place). This year’s edition featured artists like Oleta Adams, VanVelzen, Eva Simons a.o. Jurlights supplies and manages the technical production for the two main area’s festival and Jurjen was happy to make it a Haarlem hat-trick for the company’s Alcons systems. The company deploys two Alcons systems on the festival, which in 2014 comprised an LR24, 3-way large-format pro-ribbon line-array, LR16 2-way compact pro-ribbon line-array and BC543 triple 18” cardioid subwoofer rig for the Grote Markt main stage, which attracts audiences of around 5000, plus an LR16, BF362 double 18” sub and VR12 pro-ribbon compact monitor system for the Nieuwekerksplein stage. “The LR24 system is ideal for the Grote Markt stage, because there is a large area to cover but we have to keep the SPLs down. It needs to have even sound coverage, but at a comparatively low level,” says Jurjen. “The stage isn’t very high, so we could only fly eight LR24 cabinets per side this year. But with the LR16 infills it easily fulfilled what we needed. Plus, being in the centre of the town, it helps that we can focus most of the energy on the crowd, instead of surrounding buildings. The on-site Jurlights team comprised production manager Govert Hilterman, creative director Menno Broere and mix/system engineer Niels Koomen. Their jobs were aided by the Alcons systems being exceptionally quiet to the rear of the arrays.